B-school is a lot of hard work but the campus life is also full of fun. 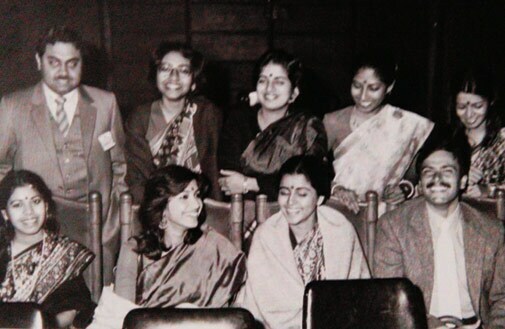 A few snapshots from the personal archives of some corporate honchos. Ravi Subramanian, President, Shriram Union Finance. The author of bestselling titles such as God is a Gamer and If God was a Banker says his interactions with diverse people outside the classroom shaped his personality. He recalls how birthdays were celebrated on the campus. "First you smashed the melon and then they smashed you," he says. "The photograph was taken on my 23rd birthday, on C-TOP, the floor known for its notoriety and intellect in the campus hostel. This encapsulates the joy and excitement of the two years that I spent there." 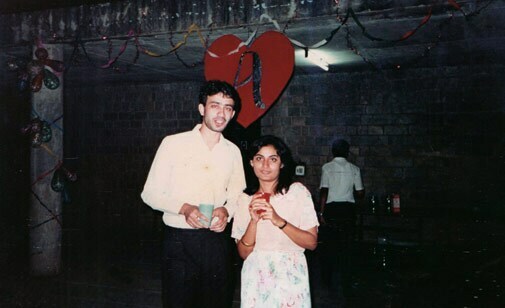 Sanjay Purohit, MD, Levi Strauss India, and Apurva, CEO of Music Broadcast Pvt Ltd, at a party thrown after everyone in her hostel block got job offers. Apurva says the two years she spent on the campus were full of fun and hard work. "It was the best of times, it was the worst of times, it was the age of wisdom, it was the age of foolishness, it was the spring of hope, it was the winter of despair," she says, citing Charles Dickens. 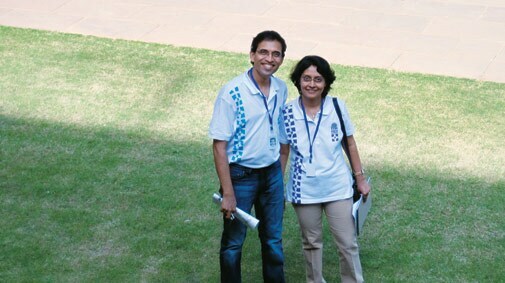 Cricket commentator Harsha Bhogle and wife Anita on the day they announced getting married (right) and at an IIM-A reunion recently. They say meeting each other on the campus was the biggest turning point in their lives. Harsha says IIM-A was his test cap. "For all my struggles there, at the end of it, I knew I belonged," he says. 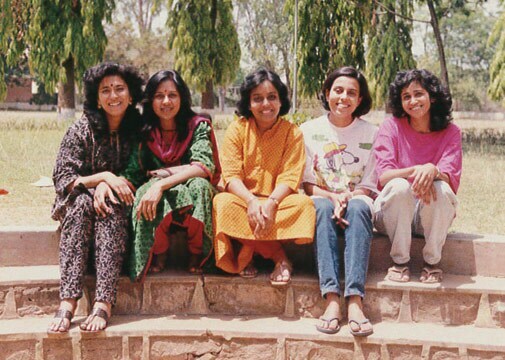 As for Anita, she says IIM-A gave her the humility to stay grounded and the confidence to take on the world. 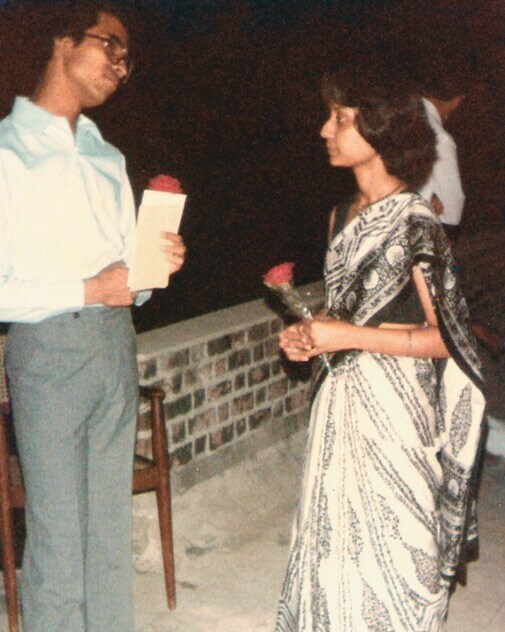 MEENA GANESH and GANESH K.
The husband-wife duo with friends in a picture taken during Diwali of 1983. Meena says IIM-C gave her the confidence to work in any area in the corporate world. 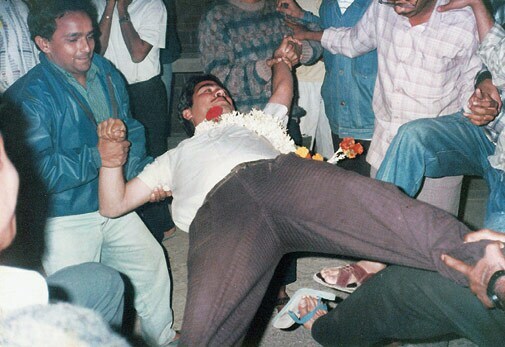 Ganesh K. recalls that June 26, 1983, was a life-changing day for him. The day India won the cricket World Cup was when he first met Meena on the IIM-C campus. Ajit Balakrishnan, Founder & MD, Rediff.com. His ID card as a student at IIM Calcutta. What is the most important skill he learnt there? Critical thinking, he says. Third from left. Sandeep Goyal , Founder Chairman and former JV partner of Dentsu India. 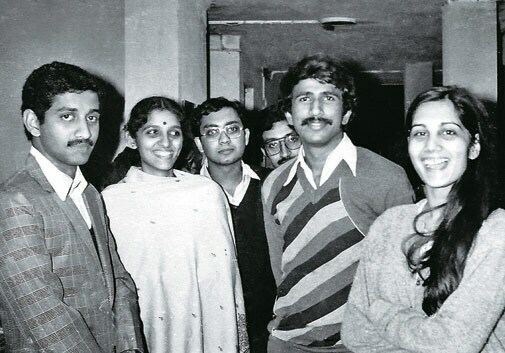 Goyal with batchmates including Network 18 Group Founder Raghav Bahl, at the FMS annual convention in 1983. (Below) With FMS friends including Tata Sky MD Harit Nagpal. Sandeep Goyal (right) , Founder Chairman and former JV partner of Dentsu India. "My fondest memories of FMS," says Goyal, "are from lounging around in 'The Cage', chatting, gossiping, eating … even snoozing through the day. And playing table-tennis between classes." Leena Nair, Senior Vice President, Leadership and Organisation Development and Global Head of Diversity, Hindustan Unilever. Vineet Nayar, Former CEO, HCL Technologies, and Founder, Sampark Foundation. 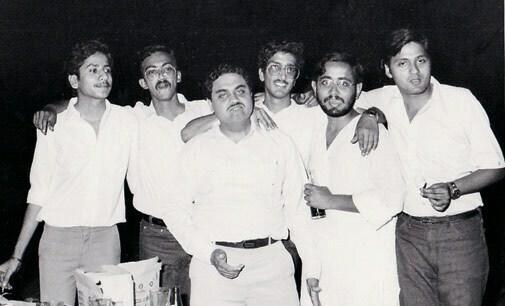 Nayar, with batchmates. Nayar says camaraderie blooms in XLRI's environment. "It is an oasis of self-discovery in the middle of nowhere which changes lives and creates lifelong friendships." Patu Keswani, CMD, Lemon Tree Hotels. 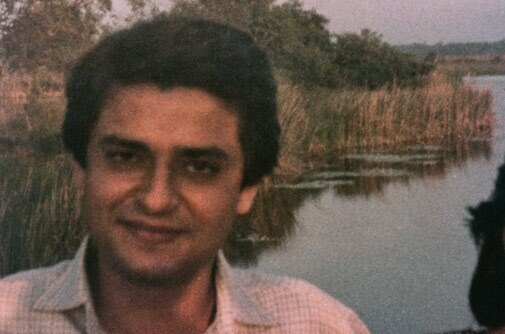 Keswani by the lake on the campus in 1984. He says his fondest memory was sinking the last boat in the lake one night. Saumil Majumdar, Co-founder and CEO, Edusports. 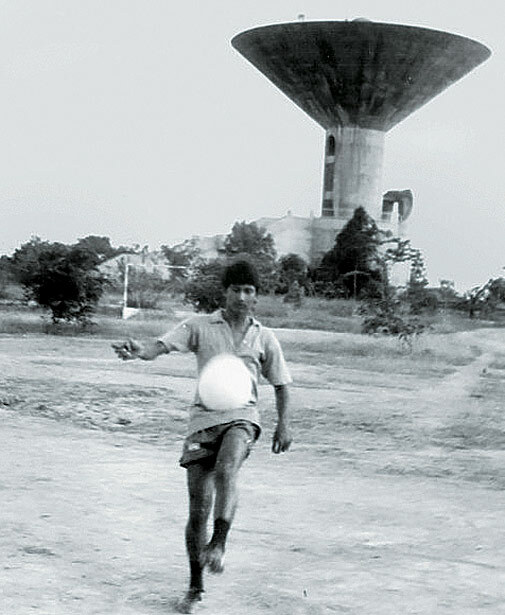 Majumdar playing soccer. He says his fondest memory on the campus was meeting some amazing and smart people who knew how to have loads of fun and also deliver results.